In Singapore we are constantly yearning for space. 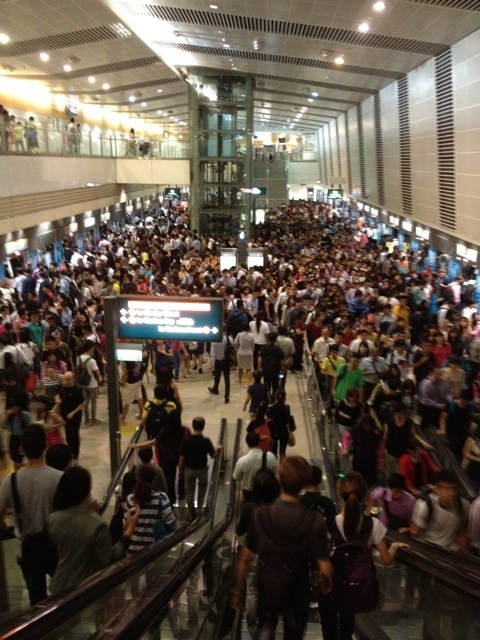 This is what we face when we take the MRT at peak hour. Crazy huh? 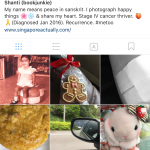 This entry was posted in Singapore Living and tagged Bishan, Circle Line, crazy, crowded, MRT, public transport, queues, Singapore. Bookmark the permalink. It looks HORRENDOUS! I’m glad to say it’s not like that everyday during the peak hours, or maybe I’m so thick in the action I did not realise it looks this bad from up above. I just had to capture this when I saw it..so friends and family who don’t take the MRT will know I’m not exaggerating when I whine about it. This is a beautiful photograph. Reminds me of the work of Sebastião Salgado. This is a familiar sight, haha. I’m one of those in the crowd each day! hehe…funny that you miss the crowds but I guess it gives you a feeling of nostalgia and in a wierd way…safety in numbers?